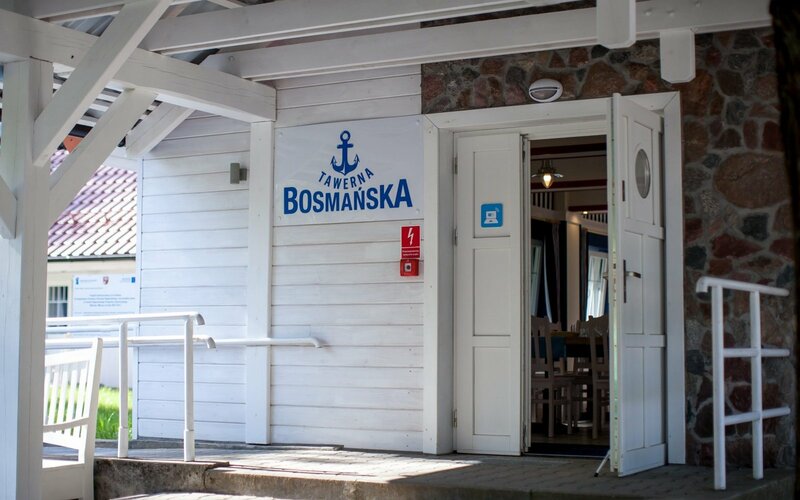 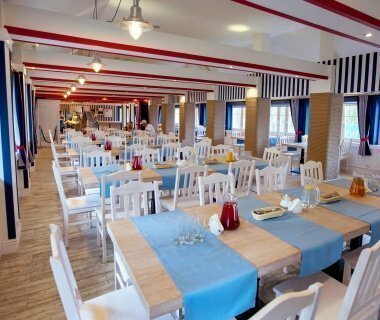 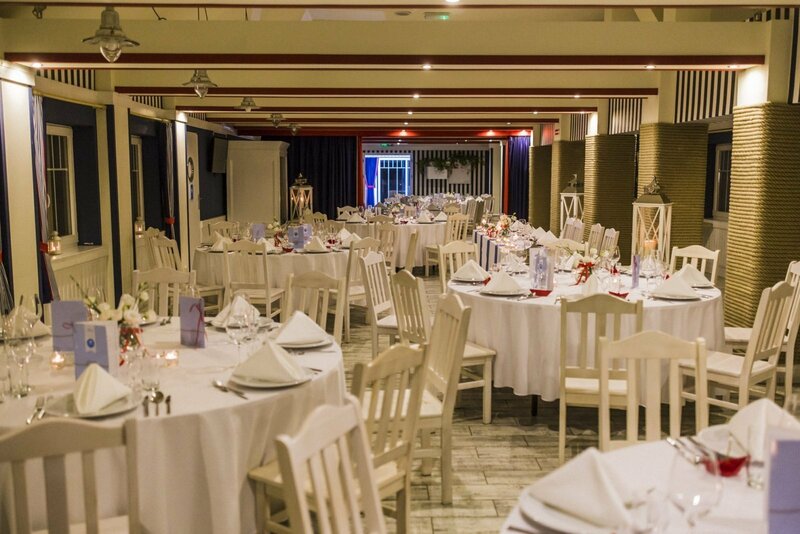 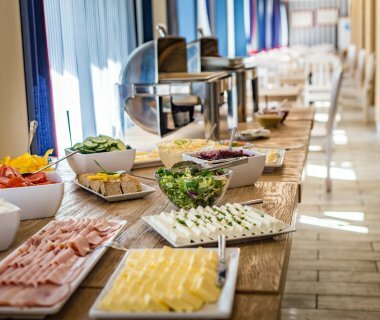 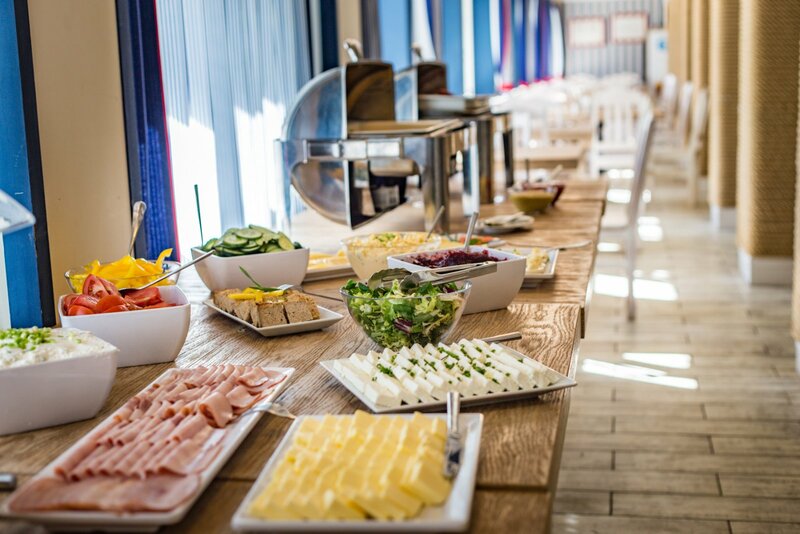 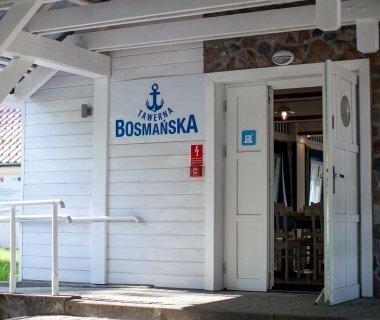 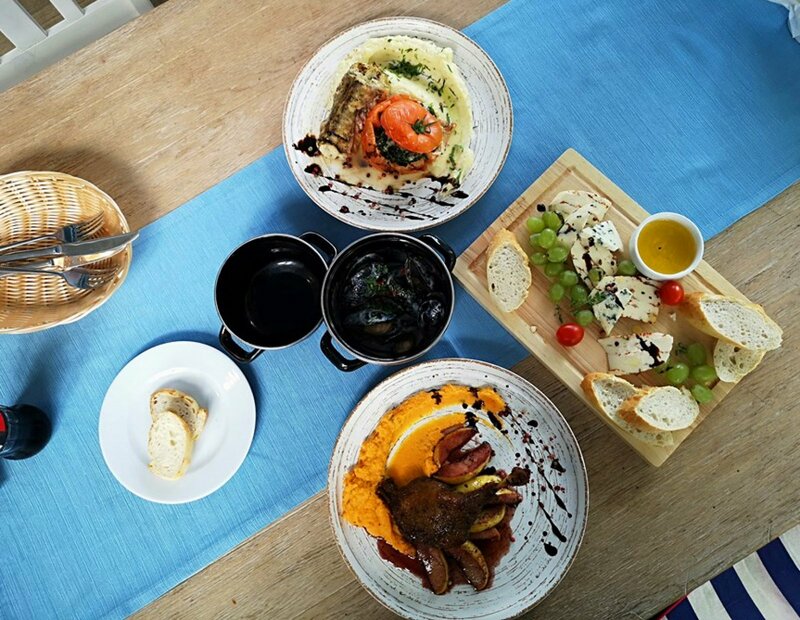 Klub Mila Kamień offers: BOSMANSKA TAVERN with a breakfast and lunch menu and KAPITAŃSKA RESTAURANT with grill dishes, burgers and pizza. 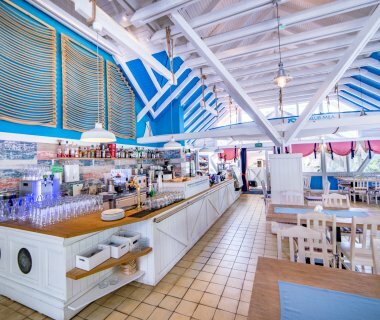 Both restaurants are connected by a roofed terrace where guests can enjoy their meals in the open. 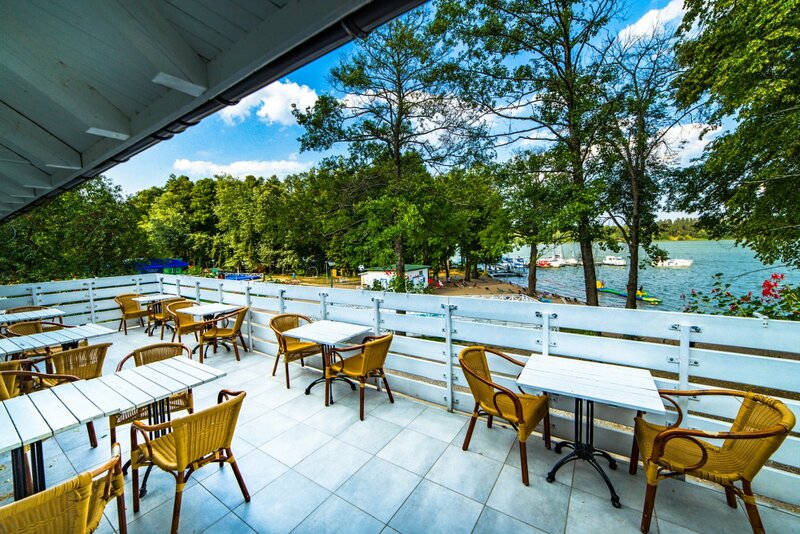 The flavors are enhanced by beautiful panorama of the lake. 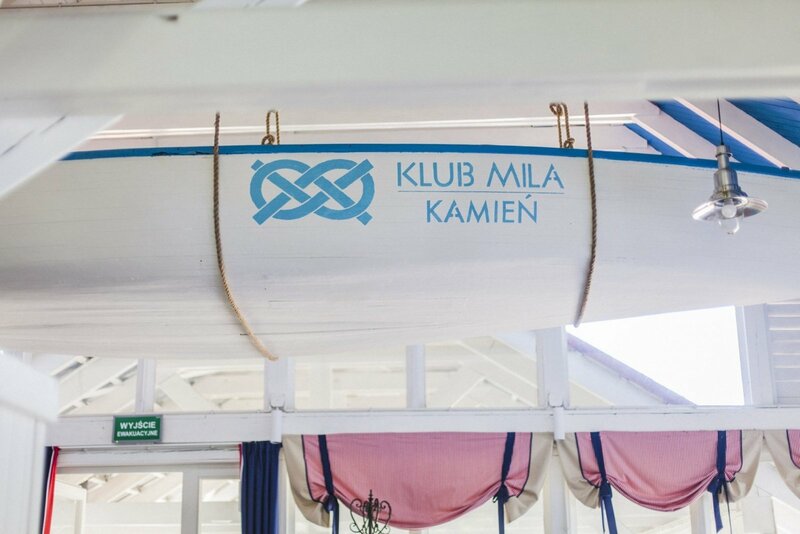 Please Note: The gastronomy at Klub Mila Kamień will only be available until 30/09/2018. 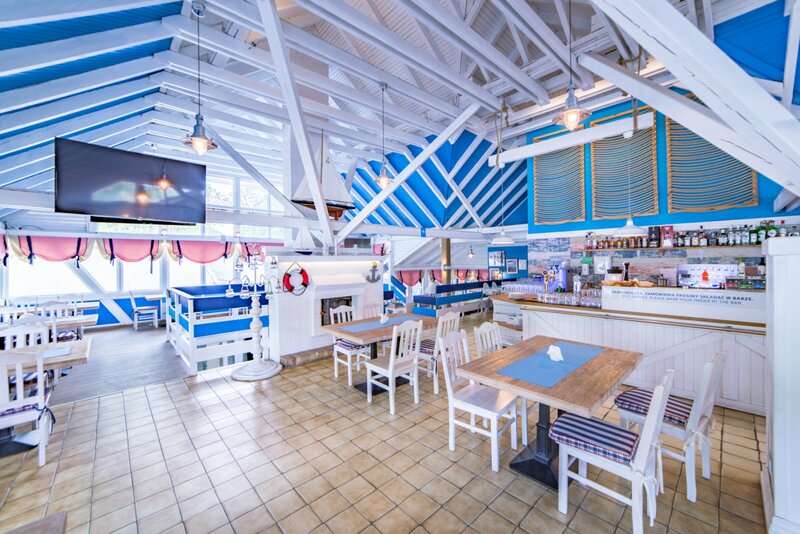 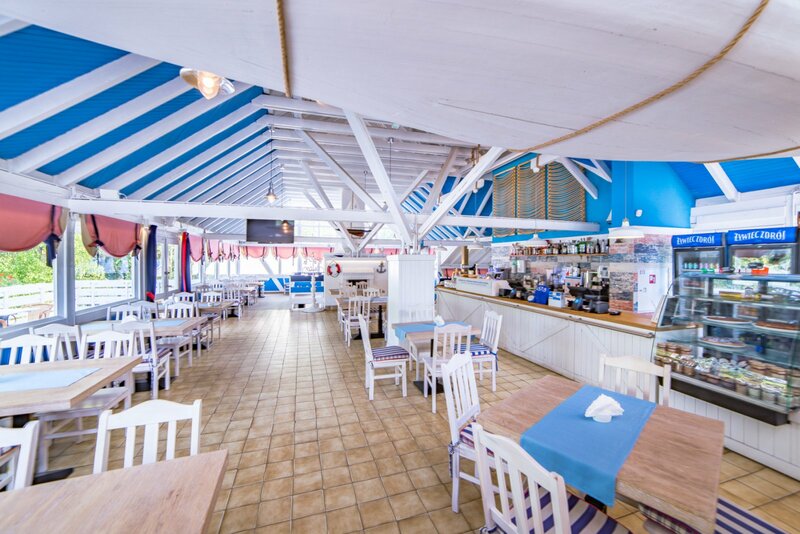 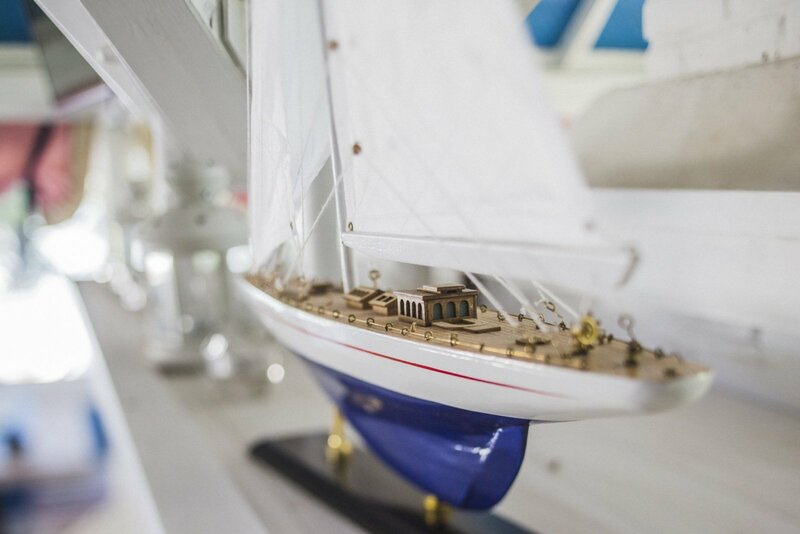 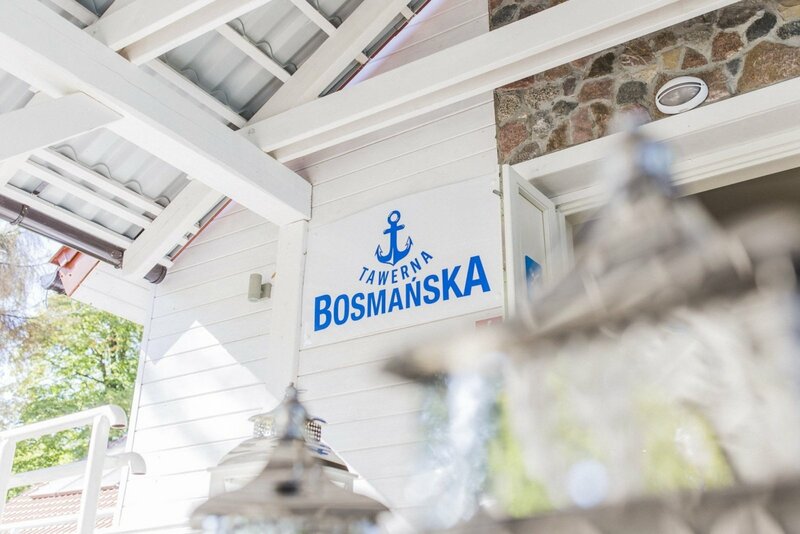 The Bosman's Tavern, located in an Ekomarina building, impresses with its nautical decor with numerous of sailing details makes it an unique place. 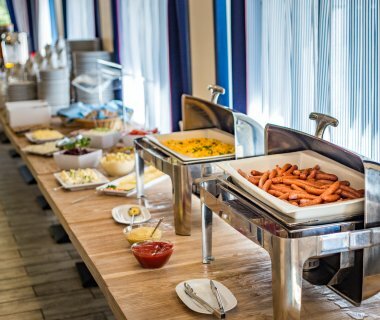 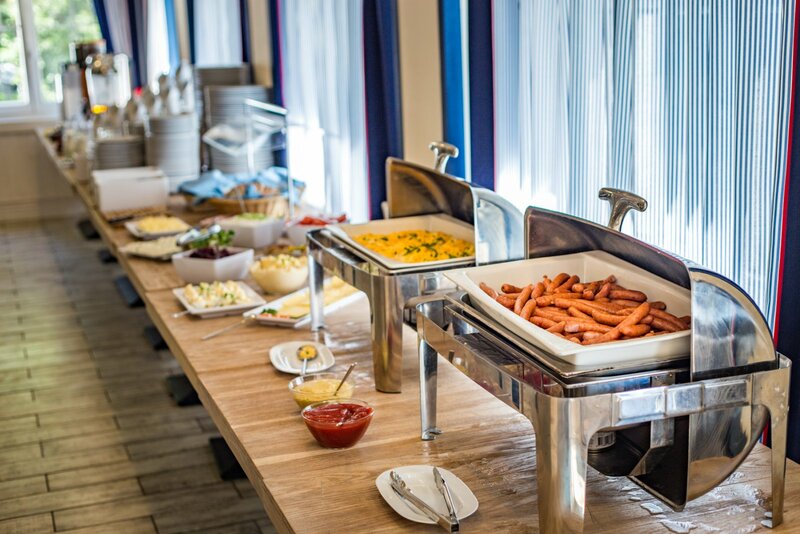 The boatswain's Tavern serves breakfast buffet and homemade lunches and dinners. 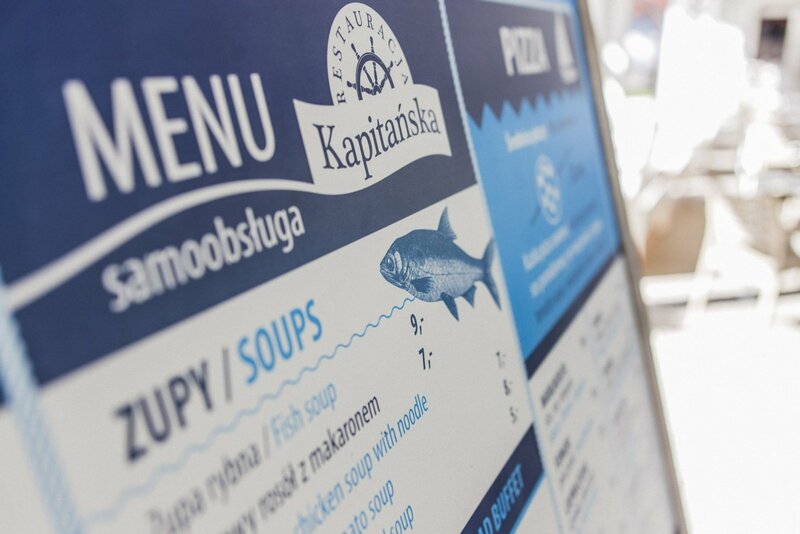 Every day we offer different dishes to choose from soups, meat, fish and vegetarian dishes with a variety of toppings. 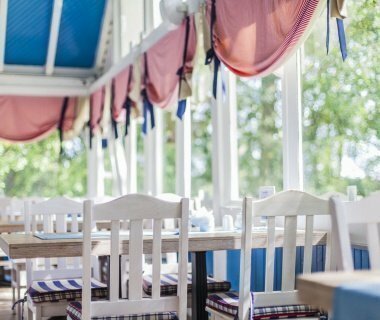 *Serving time during the hollidays.The other dates may change. 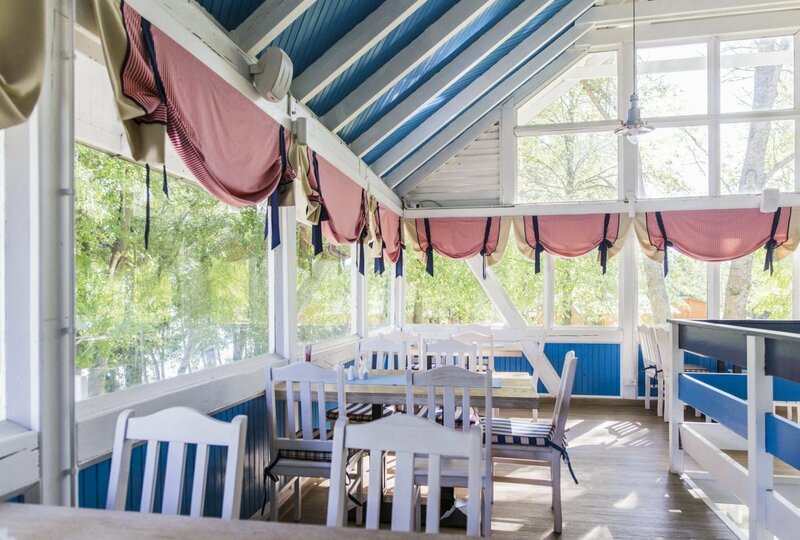 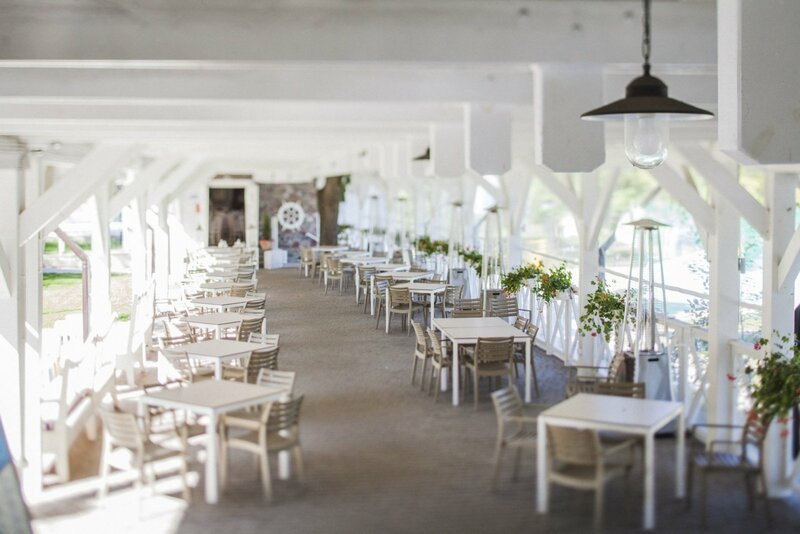 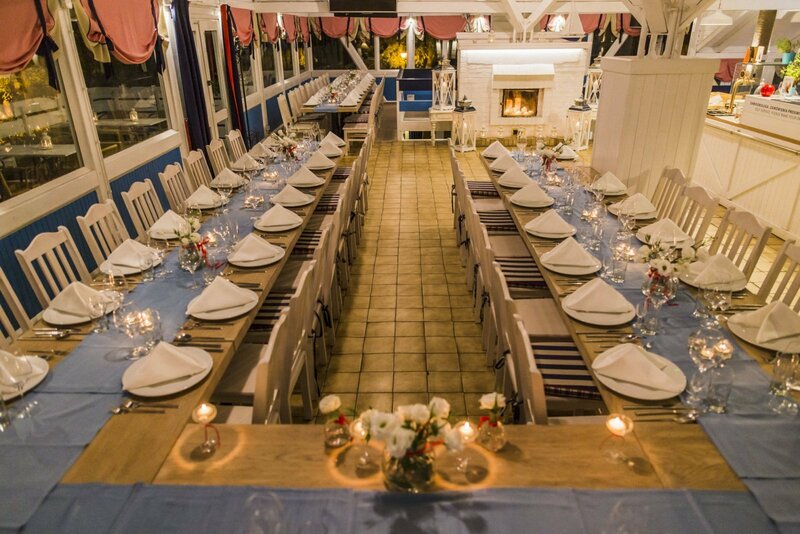 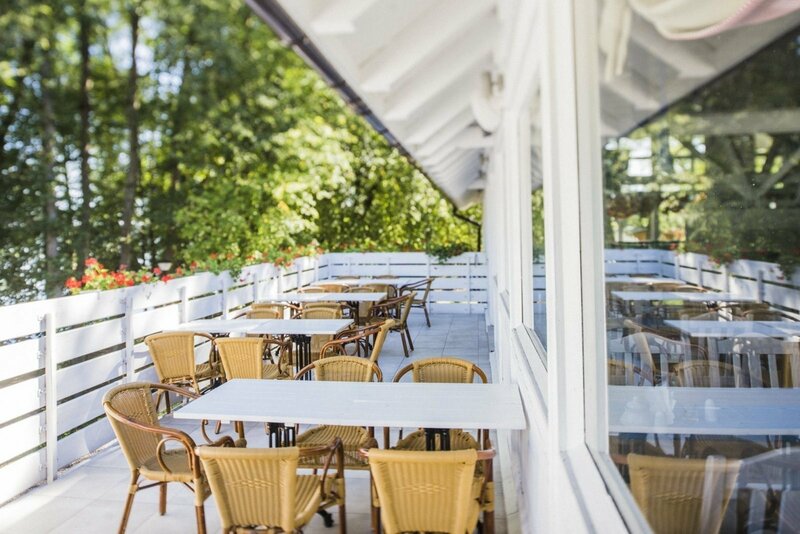 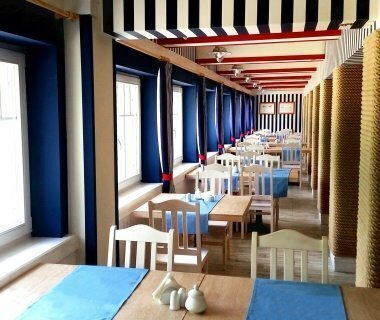 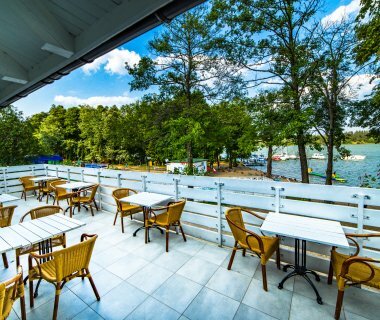 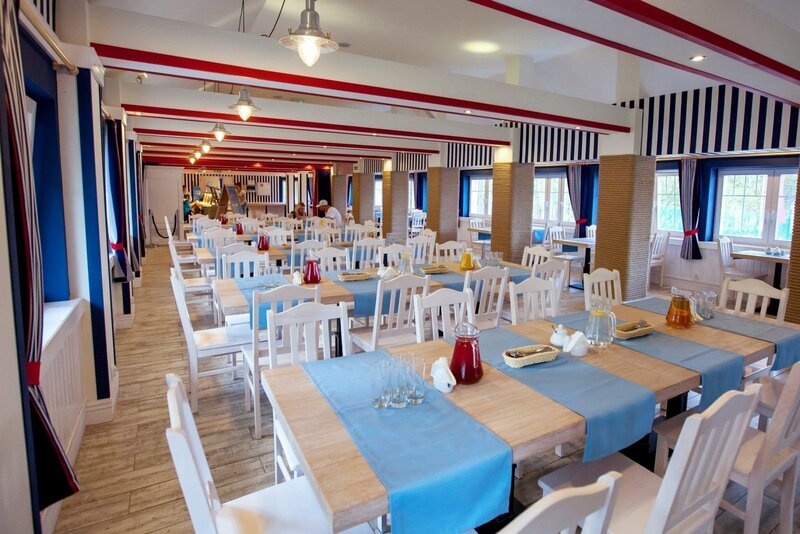 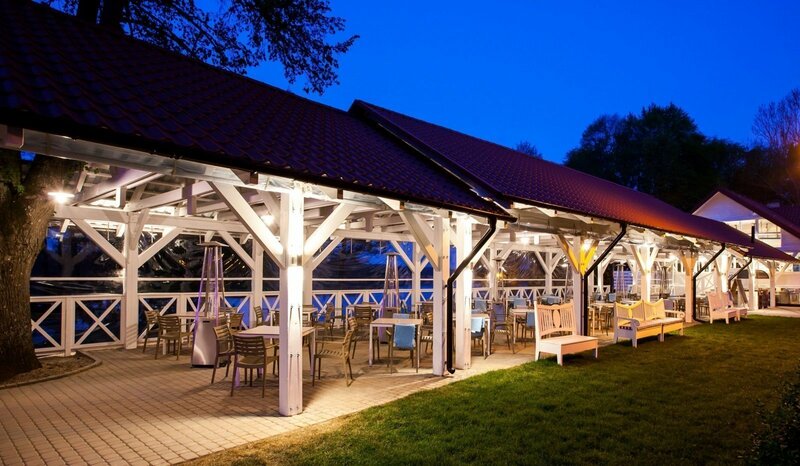 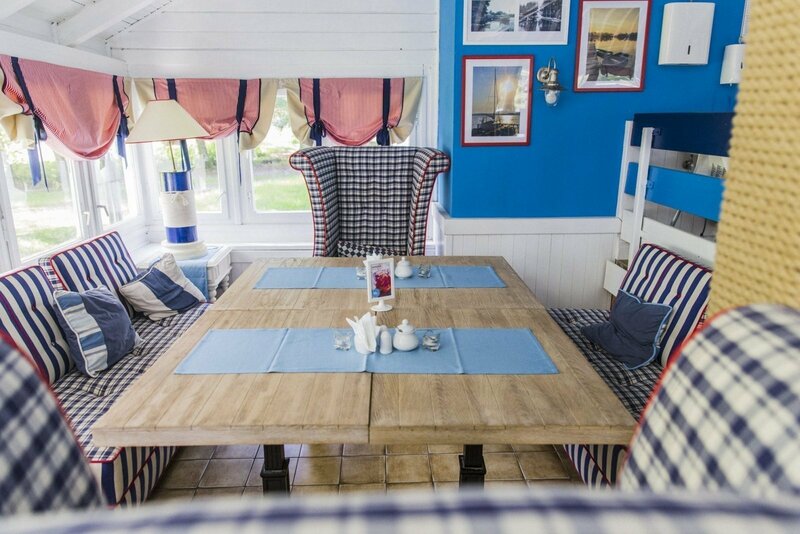 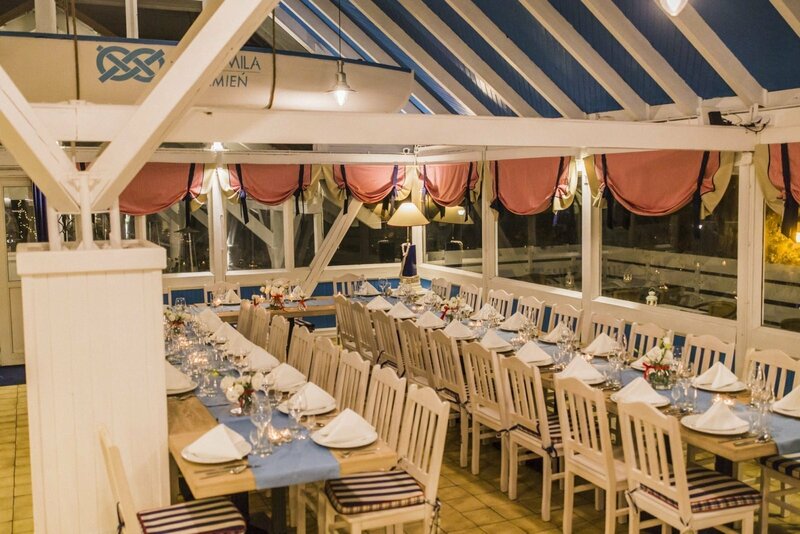 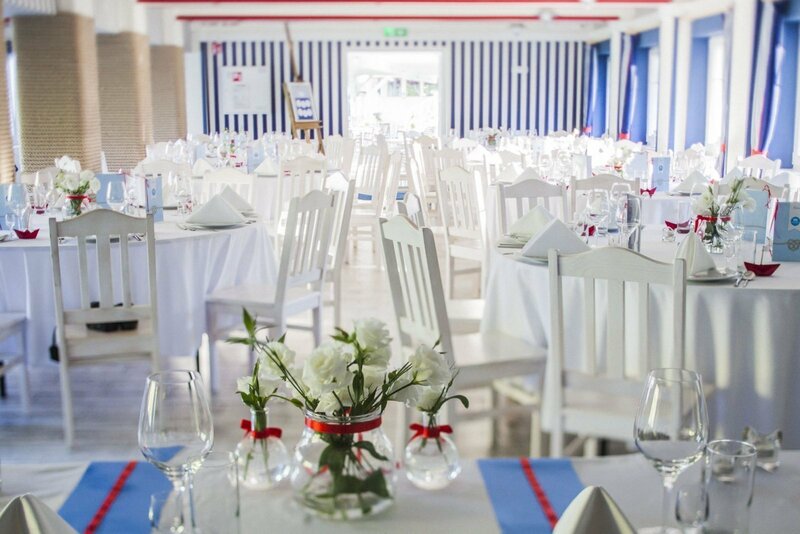 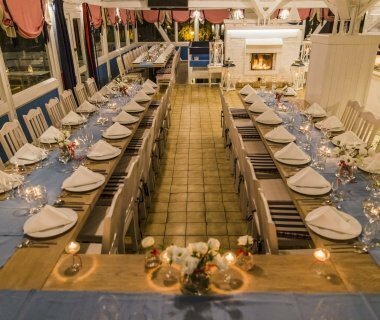 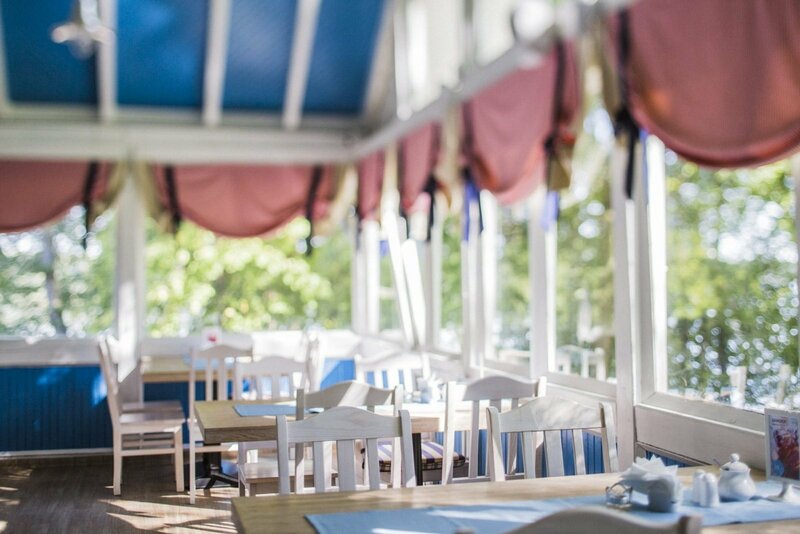 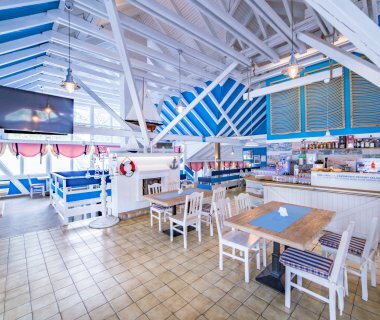 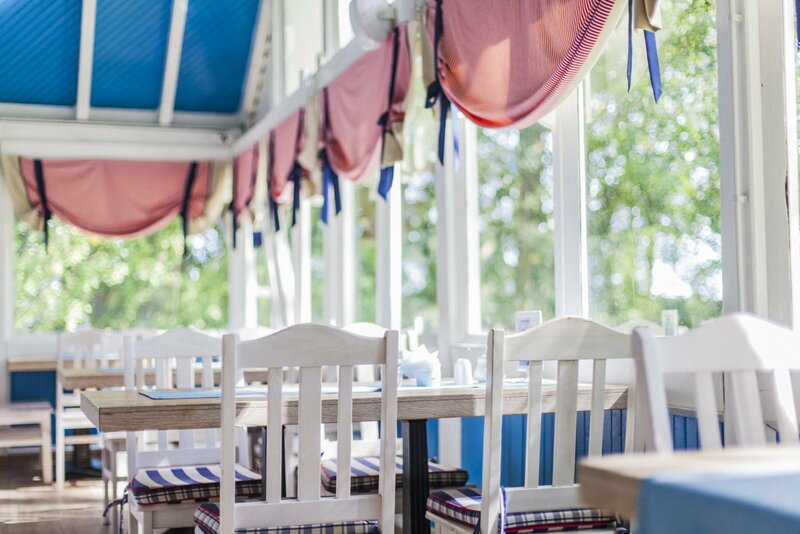 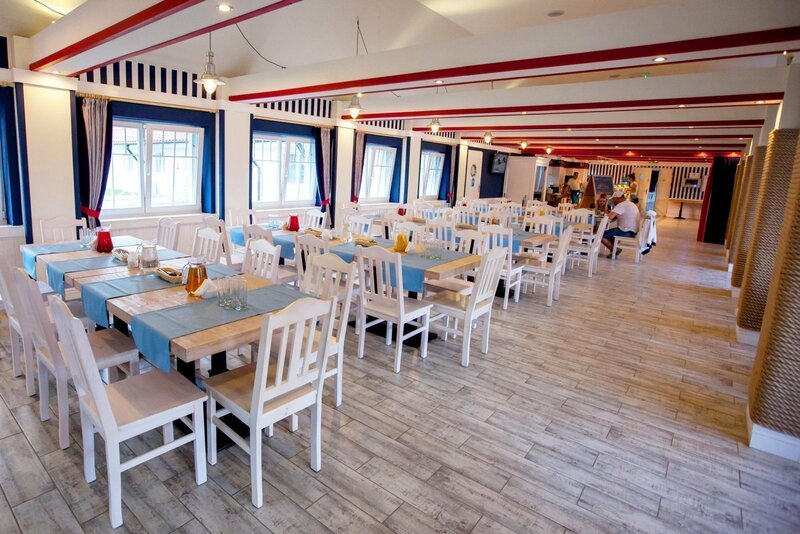 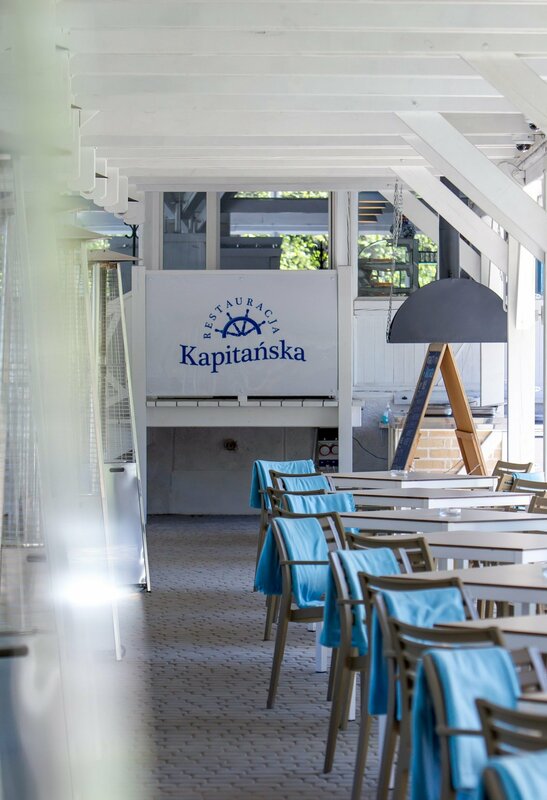 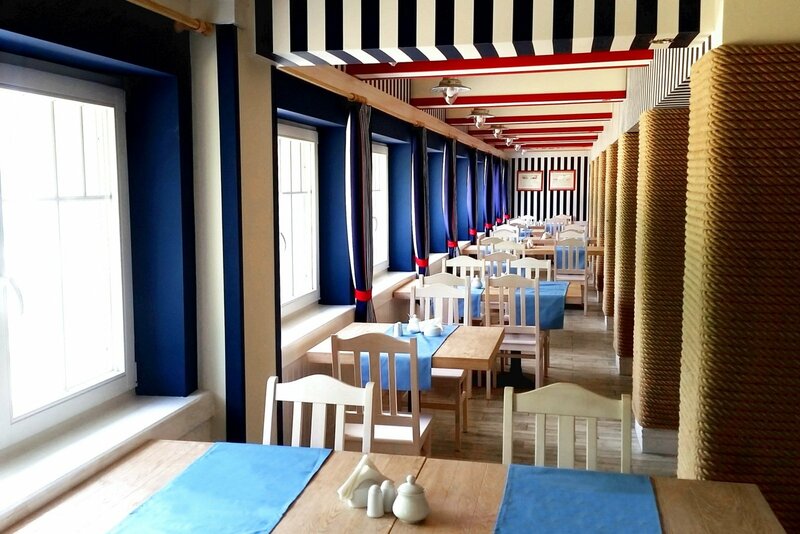 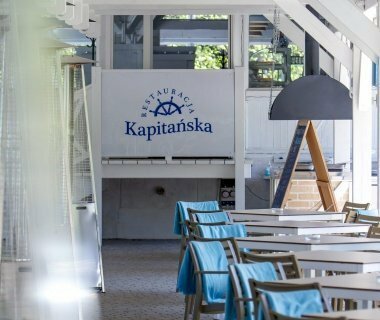 Exquisite nautical interior, open terrace with the lake view make Kapitańska Restaurant a perfect place for a holiday feast. 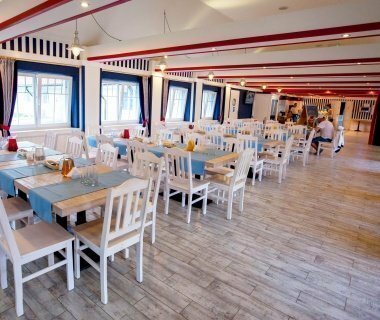 The Restaurant's menu is a compilation of local dishes, fresh fish, grilled dishes, salads, vegetarian dishes and an excellent pizza. 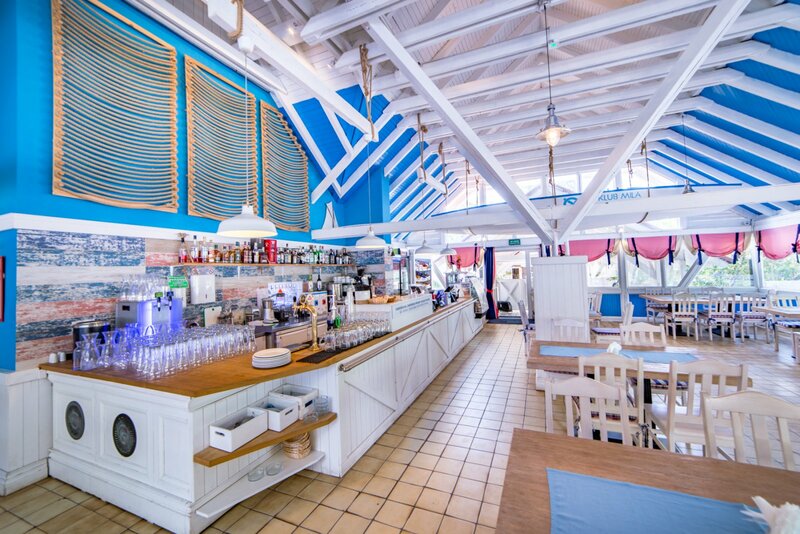 The restaurant also offers fresh, homemade cakes and local corked products.